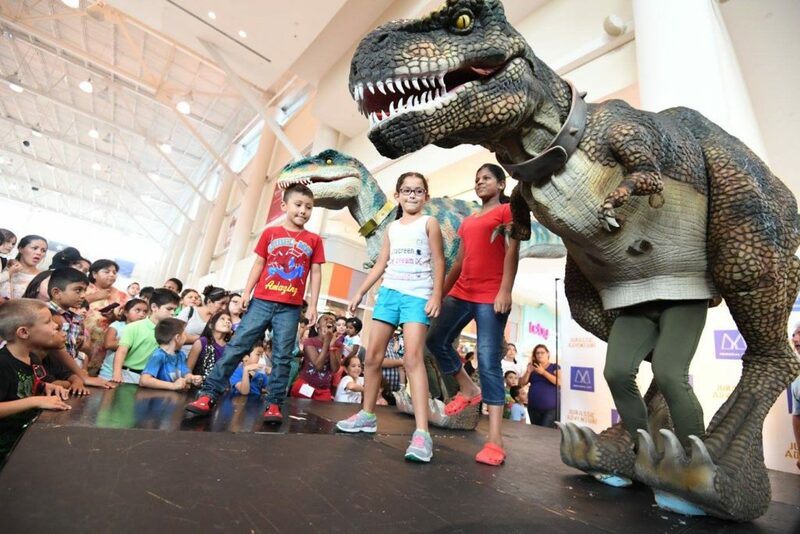 We were honored to be invited back to Memorial City Mall to showcase our Jurassic Adventure show for the second time. The love and support was nothing short of amazing. We had a great turn out and we were grateful to see such an amazing crowd. The excitement escalated quickly as families started to pour in with a great sense of anticipation. 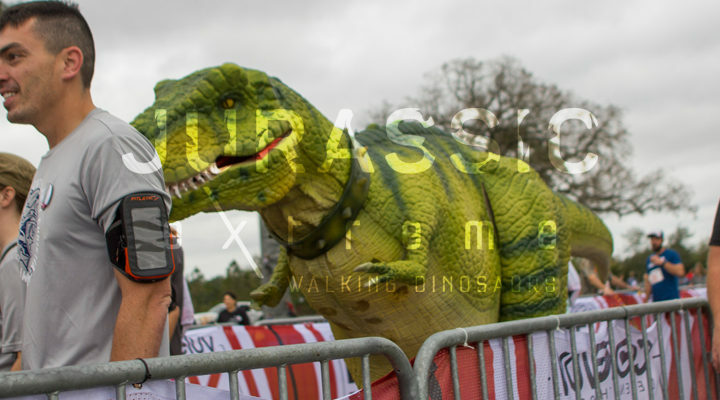 We could see smiles on kids faces as Rocket X and Rocket (Walking Dinosaur Costumes) were getting ready to hit the stage. Here’s a fun fact to share: Memorial City Mall was Rocket’s first public appearance. Yes, he was super excited to be back where it started and perform for everybody once again. We kicked it off with a fun activity and always a crowd pleaser. 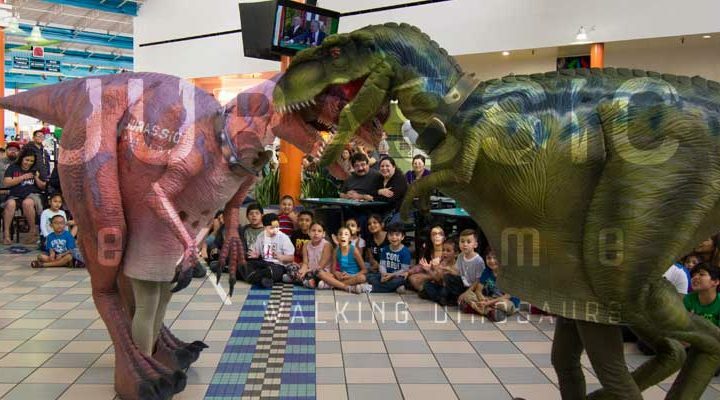 We dared the bravest kids to place their heads inside the dinosaurs mouths. A few hesitated while others were a bit frightened and couldn’t follow through. That’s okay. 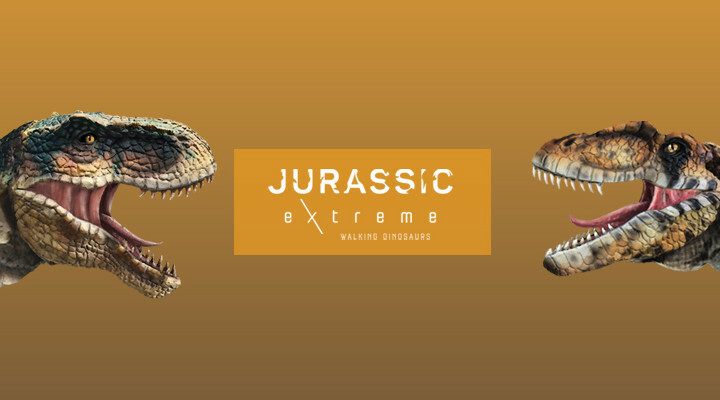 Putting your head inside a big dinosaurs mouth can be pretty scary. However, we did have a few that approached the dinosaurs with caution and placed their heads inside the dinosaurs mouth. It was fun to see. 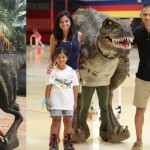 Kids were also invited to show off their dancing skills and have a dance off with the dinosaurs. Have you seen or heard? 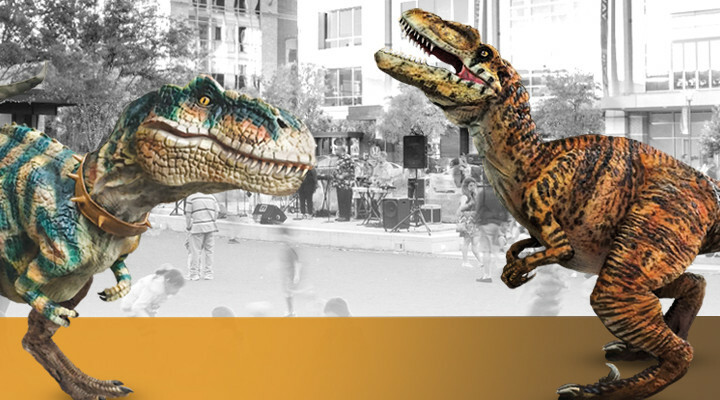 Oh, our dinosaurs CAN dance! Both Rocket and Rocket X worked their dance moves and the crowd loved it! 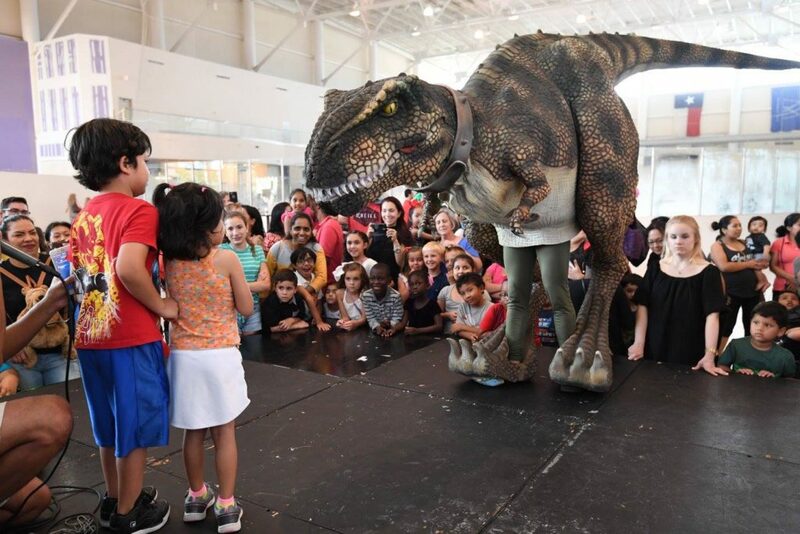 It’s always fun watching our dinosaurs dance. It’s always a different show every time they perform. They love to improvise and create new moves. 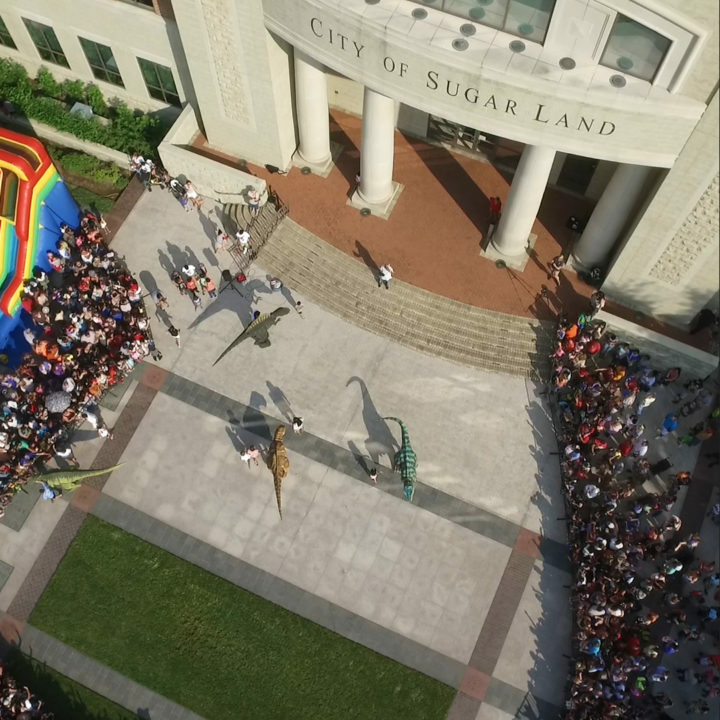 After the break, Rocket and Rocket X walked around the crowd taking selfies and soaking up the attention.Believe us, they loooove the attention:) Despite the massive crowd and limited space, everything went smoothly and everybody had the opportunity to enjoy the Dinosaurs up close and personal. 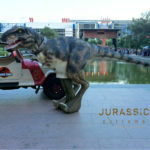 Jurassic Adventures concluded as guests were invited to come up and get their picture taken with Rocket X and Rocket. 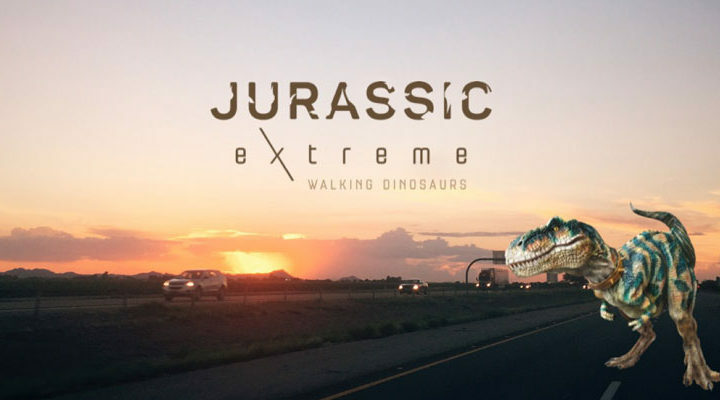 This is always the best part for our dinosaurs. They love showing off their big smiles and interact with everyone personally. Memorial City made them feel like rock stars that day. It was pretty awesome and one of the most memorable events we’ve had this year. 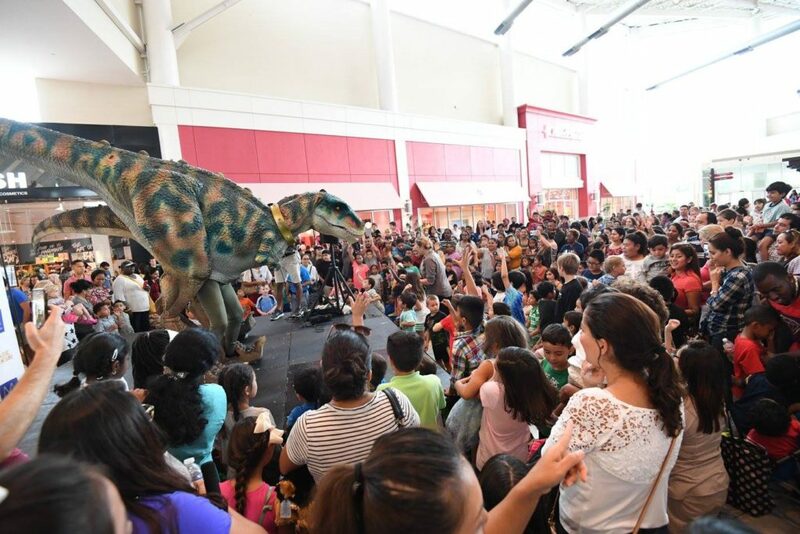 We want to thank Memorial City Mall, Lott Entertainment and The Houston Museum of Natural Science for the opportunity to be a part of this event. 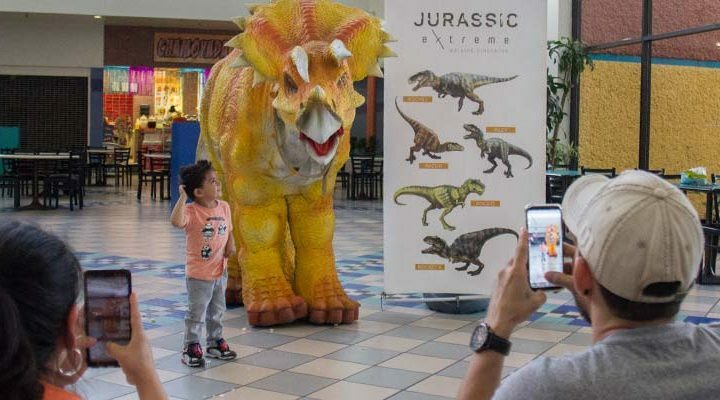 We also want to thank everyone who attended and those that came back to Memorial City Mall for second time to catch the Jurassic Adventure experience. 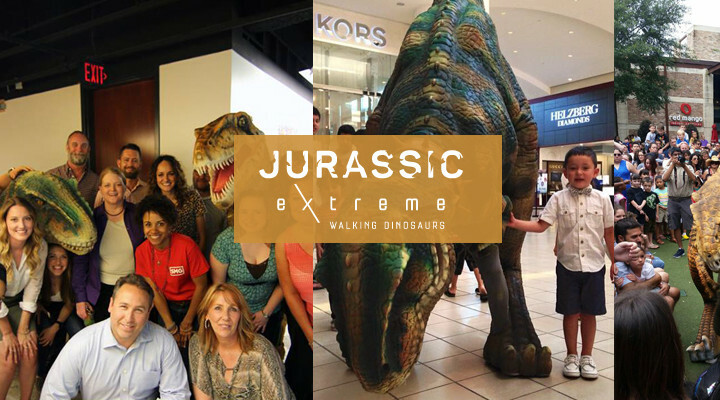 We take great pride in being Houston’s walking dinosaur live entertainment and bringing the Jurassic Extreme experience to you and yours. Until we meet again.